This illustration depicts what one reporter saw on the upper deck of a slave ship — "about four hundred and fifty native Africans, in a sitting or squatting posture, the most of them having their knees elevated so as to form a resting place for their heads and arms." 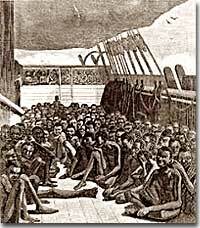 Two by two the men and women were forced beneath deck into the bowels of the slave ship. The "packing" was done as efficiently as possible. The captives lay down on unfinished planking with virtually no room to move or breathe. Elbows and wrists will be scraped to the bone by the motion of the rough seas. Some will die of disease, some of starvation, and some simply of despair. This was the fate of millions of West Africans across three and a half centuries of the slave trade on the voyage known as the "middle passage." Two philosophies dominated the loading of a slave ship. "Loose packing" provided for fewer slaves per ship in the hopes that a greater percentage of the cargo would arrive alive. "Tight packing" captains believed that more slaves, despite higher casualties, would yield a greater profit at the trading block. Doctors would inspect the slaves before purchase from the African trader to determine which individuals would most likely survive the voyage. In return, the traders would receive guns, gunpowder, rum or other sprits, textiles or trinkets. 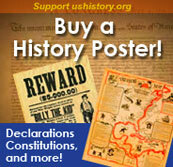 The "middle passage," which brought the slaves from West Africa to the West Indies, might take three weeks. Unfavorable weather conditions could make the trip much longer. The Transatlantic (Triangular) Trade involved many continents, a lot of money, some cargo and sugar, and millions of African slaves. Slaves were fed twice daily and some captains made vain attempts to clean the hold at this time. Air holes were cut into the deck to allow the slaves breathing air, but these were closed in stormy conditions. The bodies of the dead were simply thrust overboard. And yes, there were uprisings. Upon reaching the West Indies, the slaves were fed and cleaned in the hopes of bringing a high price on the block. Those that could not be sold were left for dead. The slaves were then transported to their final destination. It was in this unspeakable manner that between ten and twenty million Africans were introduced to the New World. A young African prince seizes an opportunity to travel through Africa and perhaps beyond. He got more than he bargained for, being nearly murdered and eventually sold into slavery. James Albert Ukawsaw Gronniosaw autobiographical story is presented in full on Project Gutenberg. Most African slaves went through a period of "seasoning" in the Caribbean before being brought to America. This article looks at how slavery differed in the Caribbean and why that was so. An amazing journey through the middle passage with beautiful artwork depicting the horrible reality of the passage. The triangle trade is explained very clearly with a map. The story of the slave captain who "saw the light" quit his profession, and wrote the hymn "Amazing Grace" is included on the site. This in-depth article is written from an economist's perspective. 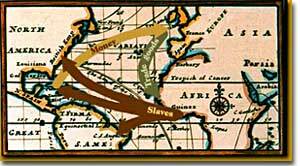 What factors combined at first to make the slave trade profitable? Why could the slave trade no longer function after the industrial revolution, although the institution of slavery continued? Well worth reading, and there are even some pictures. Every morning, perhaps, more instances than one are found of the living and the dead fastened together. Slave ship Captain John Newton quit the slave trade after several voyages. What he did next moved the hearts of millions of people across the world and continues to do so today.